Welcome to our small community school! We have been told we are "the community's unknown jewel". Our parents, students, and staff love our New Hopewell Family and you will, too. The teachers and staff here go above and beyond to help our students to be successful, lifelong learners. Our students are New Hopewell Students. They always work hard and have excellent behavior. They make our parents, staff, and the entire community proud. Welcome again to our jewel! Click the link above to see the Flyer! Lots to see and do. Monday – YOU MAKE US BLOOM - Bring in a flower for your teacher. There will be a vase of water on the teacher’s desk. They will be able to enjoy a lovely bouquet. Tuesday – TREATS - Bring in some type of small candy (Reeses, peanuts, Lifesavers, Hershey kisses, chocolate, or whatever your teacher’s favorite snack might be). 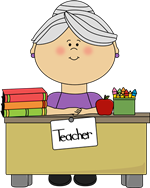 Wednesday – Bring in your teacher’s favorite soft drink or bottled water. Thursday – THANKS -Homemade card. Please make a special card for your teacher. Friday – ♥ - Bring in your biggest smile and give your teacher a hug. Congratulations Kaley Clark, New Hopewell Teacher of the Year!!! April 3-PTA Candy Bar Sale Fundraiser Through April 16th. Money may be returned through the 24th. April 26-Community Meeting in the library to discuss the characterists desired for the new principal. Please try to attend.